This guide provides water users, such as irrigators and municipal water users, a detailed understanding of hydropower. The handbook identifies the tools and procedures necessary to complete a preliminary site assessment, initiate the permitting and licensing requirements, and locate potential funding opportunities. This guide can be used to assess whether a full feasibility study is warranted. 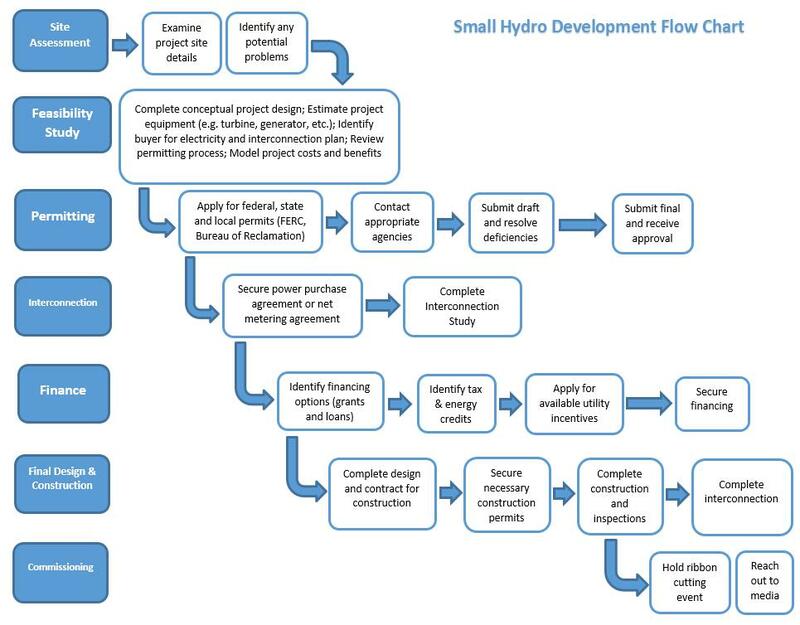 The flow chart in Figure 1 provides a general understanding of the process of hydropower development. A glossary of terms is available at the end of the document. Download a copy of the Wyoming Small Hydropower Handbook or the Summary. To read the handbook online, use the links located at the top of the right column.